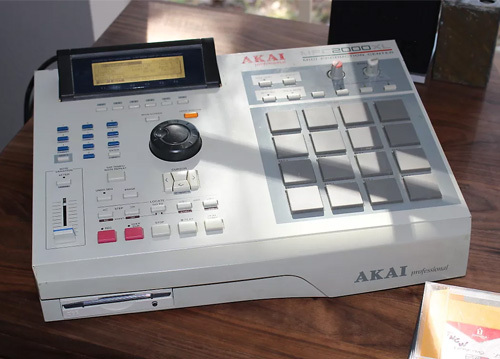 When Akai debuted its MPC series in 1988, it gave the world a true digital instrument, not just some high–tech sound device. The MPC 60 was that rare piece of sophisticated digital technology that could be used as an intuitive tool for musical expression. 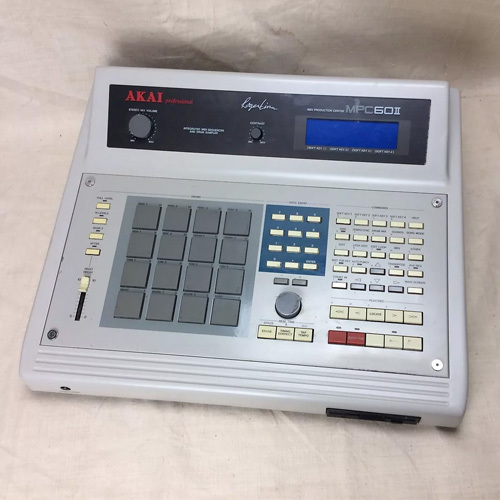 Akai brought Roger Linn on board in 1986 to develop the template that would pervade the massively popular hardware MPC line: 16 touch pads, simple sampling, and a powerful sequencer with MIDI integration. This was not Roger Linn’s first sampling rodeo. In 1979 he launched his career designing the LM-1 Drum Computer, the first ever drum machine using digital samples of drum sounds, made immortal as a standby on Prince’s records in the 1980s. Next came his LinnDrum, heard on dozens of Top 40 hits from the same decade. Akai intended to use Linn’s expertise to relay the success of its rackmount sampler series into an all–in–one production studio. What neither entity realized was that the MPC 60’s long sampling time and implementation of Roger Linn’s signature swing programming would revolutionize electronic music, first and foremost hip hop. Once the MPC 60 became popular in the electronic production sphere, the company started regularly releasing new models with incremental updates. But the story of the MPC’s influence on music is one of its most influential models hitting the market at just the right time. The MPC 60 was introduced in 1988, competing with the main sampler used during the golden age of hip hop, the E-mu SP-1200. While the SP-1200 would go on to be used throughout the ‘90s, the MPC had it beat on day one with its significantly longer sampling time and higher audio resolution, at 13.1 seconds of total sampling time versus the SP-1200’s 2.5 seconds and 40kHz audio rate versus the SP-1200’s 27.5 kHz. The MPC 60 was designed as playable drum machine, with its innovative grid of 16 square pads that could be used to program the machine’s sequencer. This grid was adapted from the external controller for the never–produced MidiStudio. Linn was responsible not just for that interface, but for the design of the entire MPC operating system. Along with his development team in California, Linn developed the software that would make the MPC’s operation so intuitive and set the blueprint for MPC functionality across all generations. The hands–on aspect and the capacity for recording and manipulating sounds directly on the machine meant that the MPC 60 had a lot more flexibility than conventional step–based drum machines like the Roland TR–808. Linn and Akai gave the MPC 60 MIDI capabilities to sync external sequencers and control synths with its own internal sequencer. With four MIDI outputs and a 99–track sequencer capable of programming internal sounds and external ones, the MPC 60 could act as the brain for an entire studio of gear. Over email, Linn related that the MPC 60’s innovation of creating a MIDI sequencer that could be programmed on the fly was simply an elaboration on his early drum machine designs, which allowed for live loop recording with quantization. The MPC 60 was popular early on, but it would also sustain in hip hop for years to come. This model was used, for instance, on Warren G’s “Regulate” in 1995, DJ Shadow’s sampling masterpiece Endtroducing in 1996, and continued to be used by DJ Premier into the 2000s. Possibly the most revered of all beatmakers, J Dilla was known to have worked with MPC 60 and MPC 60MKII before settling into Akai’s next model, the MPC 3000. Dilla would remain loyal to the 3000 throughout his career, even as he integrated Pro Tools into his workflow. The MPC 3000 upgraded sampling resolution to 16 bits and sampling time was increased to 22 seconds, expandable to three minutes. With more notes available per sequence, the 3000 became even more prevalent as the brain of a studio. Dr. Dre liked the MPC 3000 so much that it’s rumored he used as many as five of them on The Chronic and 2001. On the heels of the MPC 3000, Roger Linn stepped away from Akai. The company’s first entry in the MPC line without Linn was the MPC 2000, debuting in 1997. The confusing step back from MPC 3000 to MPC 2000 is due to Akai’s incorporation of features from its s2000 rackmount sampler. Akai overhauled the MPC operating system in an attempt to avoid paying Linn royalties for his hardware and software design. This meant that the 2000 lacked the Roger Linn’s signature swing program. The 2000 also only offered two MIDI outputs. Many considered this machine underwhelming, but the MPC 2000 still found love from Kanye West’s on his early productions. Two years later, Akai would revise the MPC 2000 with its MPC 2000XL, perhaps the most popular sampler that company ever made. A huge step up from its predecessor, the 2000XL builds on the 3000’s status as a studio in a box, with an output board expandable to eight MIDI outs and internal effects unit. A powerful software upgrade included features like file folder management and chromatic sample assignment. This machine quickly gained the favor of hip hop legends such as MF Doom and Pete Rock and went on to inspire a generation of beatmakers such as Marco Polo and RJD2. Similar to the MPC 3000, the 2000XL often finds itself as the centerpiece of a diverse array of dance producer’s studio, from Detroit techno producer Theo Parrish to footwork innovators DJ Rashad and Traxman to underground house and disco sensations, Bicep. The capabilities of the 60, 3000, and 2000XL would be combined into a single machine in 2004, the MPC4000. With high resolution 24–bit sampling at 96 kHz and 512 MB of memory, this became the weapon of choice for avant hip hop producer Madlib and acid jazz DJ Mark Farina. DAWs started to take over music production during the 2000s, kicking off a game of king of the hill that would see the MPC starting to lose its foothold as the dominant all–in–one studio. As hardware starting losing out to software, Akai sensed a need to make its MPCs cheaper and better integrated with computers. This lead to the release of the portable MPC 1000 in 2003 and its premium sister machine the MPC 2500 in 2007. Both of these models featured USB connectivity and use same compact flash cards as digital cameras for storage. These machine’s portability and flexibility made them the more popular of the 2000s MPC models. These are also the machines that can host the alternate operating system, JJOS. Designed by a former Akai engineer going under the moniker Japanese Jenius, JJOS offers a number of improvements to the MPC 1000 and MPC 2500. The operating system imparts software features from the 2000XL while also making the MPC more of a playable instrument with expanded melodic and sequencing functionalities. JJOS was made possible by the Internet age on two counts. First, JJOS’s success is entirely indebted to the internet, with Japanese Jenius selling his operating system from a very web 1.0 website. The other count is that these MPCs had the USB connectivity which allows for easy transfer of large files and installation. Later on, this would be one of the first models to support JJOS, the third party, and arguably superior operating system for a small band of MPC units. Notable beat makers who have relied on this machine have included Nujabes, Just Blaze, and Mike Shinoda from Linkin Park. In 2012, Akai pivoted and stripped the MPC of its standalone status with the MPC Renaissance. This product, and the subsequent Touch and Studio models, relied on Akai’s MPC software to function. The shift from all–in–one studio to, effectively, a MIDI controller for a proprietary MPC–branded DAW, these machines lost a lot of the appeal of the classic MPC run. Instead of standing alone as the preeminent hardware sampler, the MPC and its complementary software entered the ring facing the formidable Native Instruments Maschine and Ableton Live’s soon–to–come Push controller. Five years after that abrupt shift, Akai is returning to the standalone paradigm, announcing the portable MPC Live and the studio–ready MPC X at this year’s NAMM. Both of these will easily integrate with Akai’s proprietary MPC software but will in no way rely on the DAW. Excitement has been brewing around the products online, but it has yet to be seen if these will replace the MPC models ranging from the 60 to the 1000 that still appear in many musicians’ studios and live rigs.